Went to a monster truck rally for the first time last weekend. We enjoyed it, but I think the BOK Center was a little too small for the event. It was very loud. I was glad we took ear plugs and sound muffling head phones. 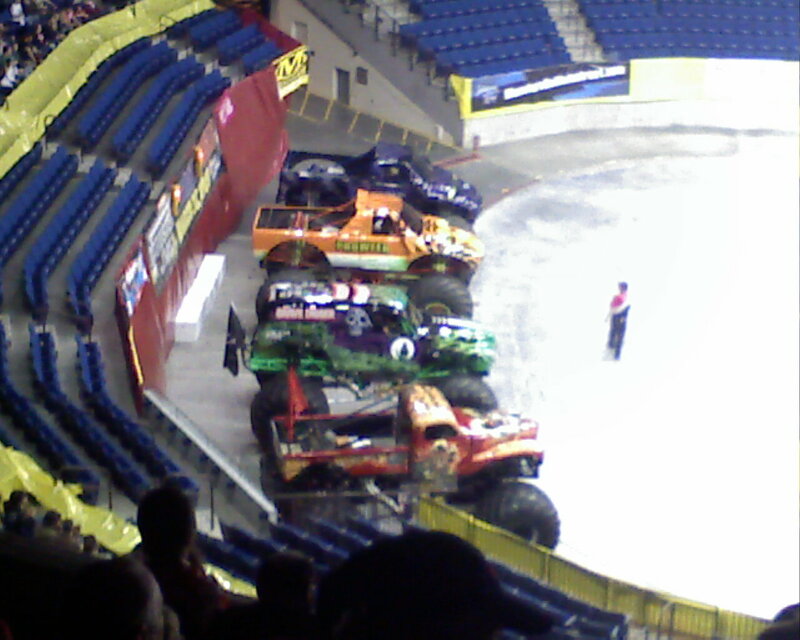 I didn’t know it, but there are celebrity monster trucks. 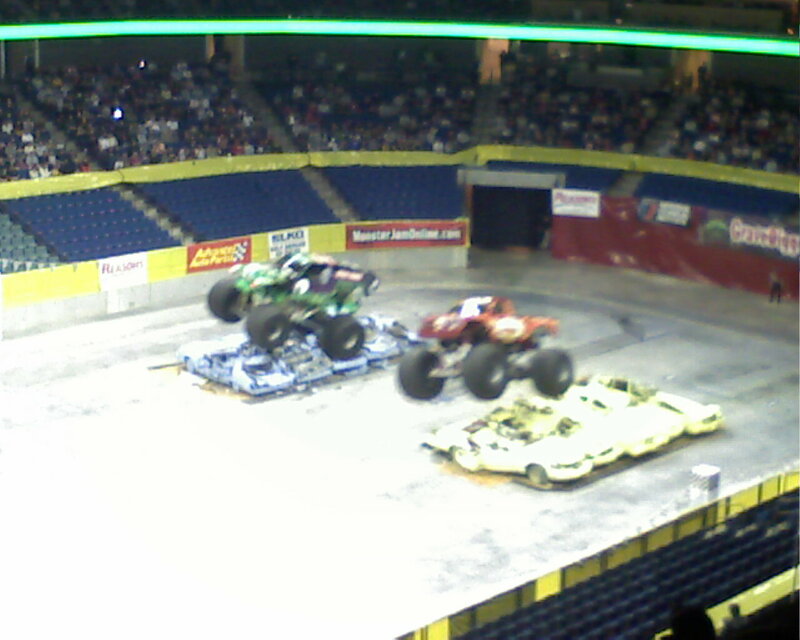 Gravedigger was the star of the show. Captain Curse was the second star of the night. I think its a little like wrestling in the fact that the winners are mostly determined before hand. The motorcycles were very entertaining, as they did tricks while jumping way up in the air. I saw a lot of Dads and sons there. I never expected for the entire row behind where we sat to be entirely teenage girls. I think they were their for the motorcycle daredevils. They seemed to know them by name and screamed really loud for them. It was a fun evening. Not something I would attend all the time, but I had to at least try it once in my life. I think trying something at least once, within reason, is a very important part of our journey. I’ve found myself bored recently. I’ve been trying a lot of new things lately. Whether its a dish at a restaurant, a different type of music, or doing things a different way. It is important to keep things changing. After all, change is the only constant in our lives. And I think that mindset needs to be across the spectrum. This entry was posted in Monster Trucks, Personal News. Bookmark the permalink.